On a cold mid-winter’s night, is there anything better than staying indoors and watching a movie with a few hundred architectural friends? Last night was the screening of “the Competition”, a documentary behind-the-scenes of the competition for the national Art Museum of Andorra. I want to thank the sponsors, E-Boss, Veridian, Gib, James Hardies, Resene, etc, as I’ve been wanting to see this film for a few years now, and weirdly it hasn’t been around much. It should be made compulsory watching for all architectural students, especially those who think they may go offshore one day and work for someone famous like Jean Nouvell…. It’s just a plain old doco, but it is extraordinary in gaining access to the design process and the jury behind one of the world-famous competitions between top-line architects and their architectural practices. The politicos from Andorra invited only “Pritzker Prize winners” or their equivalent to enter, which narrows the field down from people like you and I. But what a star-studded cast did they amass! 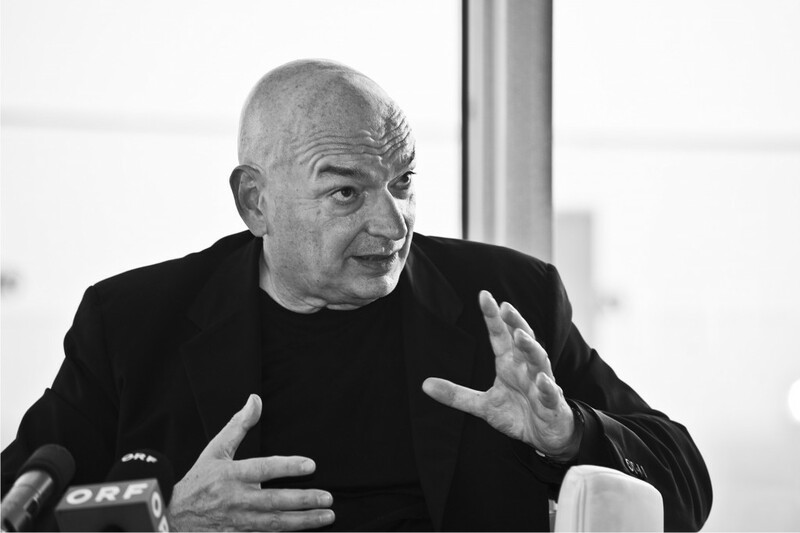 Jean Nouvel, Frank Gehry, Dominique Perrault, Zaha Hadid, and even Norman Foster. Not wanting to spoil it at all, I won’t tell you which of these mega-stars drops out within the first 5 seconds of the film… …although in hindsight, they made the correct call in spotting that the whole thing was going to be a waste of time. As Foster says at the start, the key things to any good competition is a good brief and a good jury, both of which were sadly lacking here. In retrospect, also: a good site, of which I’m not sure this was one of those. A small site in the middle of a small town, built on hard rock, and a brief that wanted hanging space for many artworks requiring, ideally, one large floor – it almost makes our battle for Te Papa look like a sane and well-run competition by comparison. Starkive – sadly I think this film won’t make it up to Wanganui but you’d love it I’m sure. Ever since I saw Calatrava completely ruin the life of a Malmo housing co-op chairman – and leave him begging for more – I have been a sucker for these starchitect fly-on the wall films. How do they get away with it?